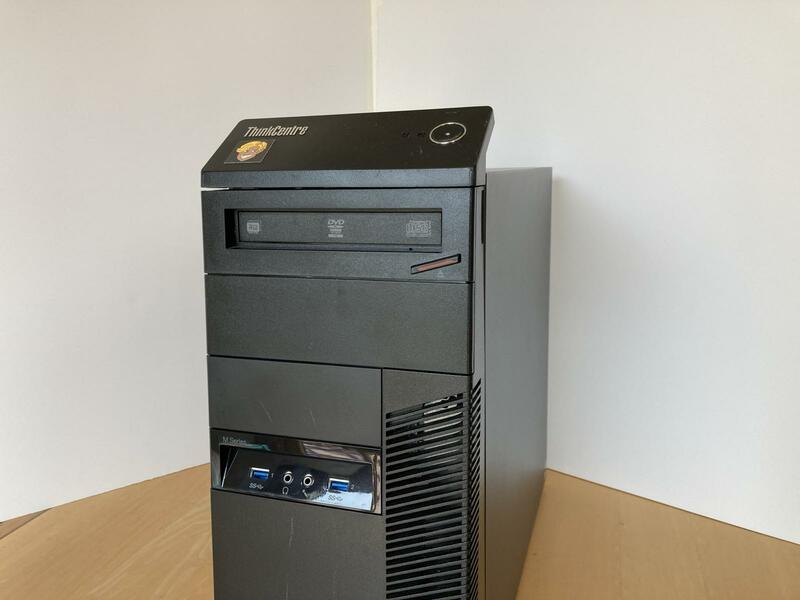 This refurbished tower computer is compatible with ArcaOS. 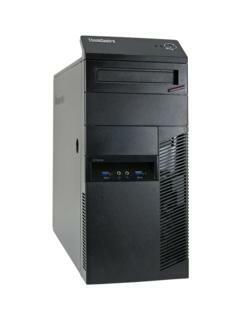 It features an Intel i7 quad-core processor, 8 GB RAM, 1000 GB hard drive and a DVD-Writer. 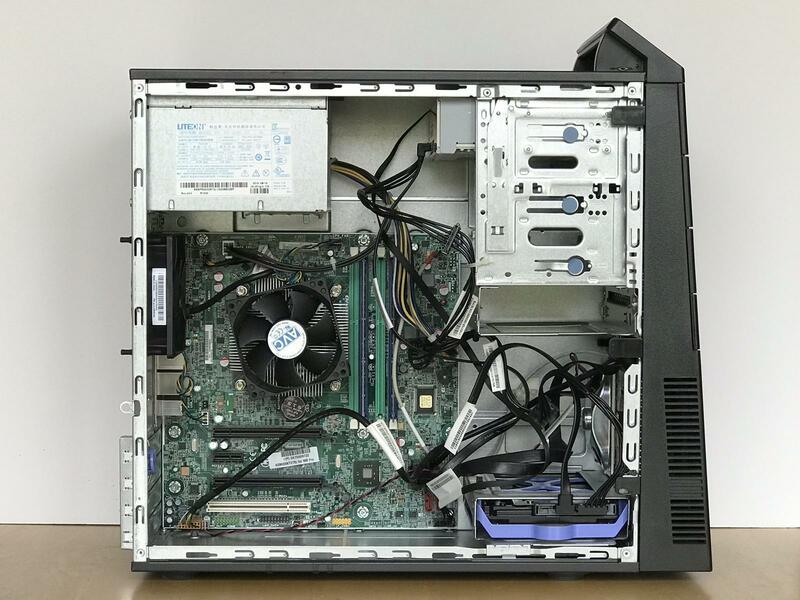 I ordered the computer from e-Bay. Hopefully, that's all I have to do. The fan sounds bad. I need to see about a new fan. OK, it turns out to be the video card, which I wasn't going to use anyway because the mainboard graphics are faster under OS/2. With eBay systems, it's best to do a throrough wipe of the hard disk before beginning. OS/2 and therefore ArcaOS, is very picky about drive geometry. A disk laid out by any other operating system will likely not work under OS/2. Preparing the hard drive, I needed to change the geometry, wipe the hard drive, and reboot. Then I could lay out the whole hard drive as documented below. Hopefully nothing much in this section. Disk driver will be OS2AHCI. UniAud works with /A:1. Hyperthreading must be turned off in BIOS. I used Panorama, but I want to test with SNAP. DOS Window does not work, even after /int10textgrfxsafe. DOS Full Screen works, but switching back to OS/2 does not work until ACPI 3.23.09 is installed. Using Suntan Special, I run Suntan Special sequences ArcaOS50, apps, games and cleanup. This is saved as the Factory image. This is normally what would be supplied on the computer. To make the bootable recovery DVD, the operating system image is used. The recovery DVD is a work in progress; refer to the readme to restore disk images. The computer is set up to connect via ethernet cable. The network interface has been set up to configure automatically. The DVD drive can read and write DVD and CD media. QPDFView and Lucide are installed. Firefox and Seamonkey web browsers are installed. Qupzilla web browser, based on Qt and the Apple Web Kit is also installed. Thunderbird and PMMail are installed to provide a choice of e-mail client program. DVDToys is installed to provide DVD and CD writing. Also asscoedit, VNC and PMWipe are installed. Suntan Special was used to bring the system up to date on May 28, 2018. The recovery DVD supplied is a bootable eComStation DVD with a backup of the hard drive as delivered. You can boot the machine from DVD, and perform maintenance functions. The maintenance folder is available on the recovery DVD. The factory backup is stored in the \image\Factory directory. The backups are simple zip files. You can use unzip to extract some or all of the files in a backup. Power consumption is 30 Watts, measured with the computer is booted to the desktop. In use, the computer can consume about 70 watts. 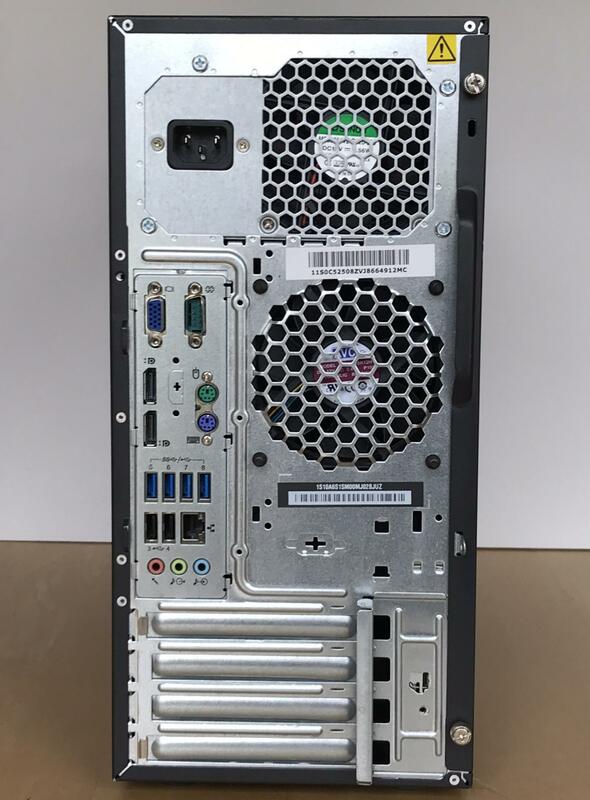 This computer consumes less than 1 Watt if it's plugged in, but switched off. Note: Quebopeep does not have either wireless or video card shown in this photo. Interior shot with tool-free drive bays. The disk is partitioned to provide a large space for Windows, some space for ArcaOS, and exchange drive and date drive. This is the layout for the 1000 GB HD. The Air-Boot boot manager is installed to select the volume to be started. To buy this computer, use the order button below. Be prepared to enter any special notes about your needs or customization for the computer. Blonde Guy will review your order and send you an invoice, payable using PayPal or any major credit card. If you prefer to pay by check, note that in the notes field of the order form, and I will e-mail you an invoice payable by check. If you have questions, you may enter them in the notes portion of the order form. The final price of the computer depends on tax, shipping and options. Shipping outside the USA is available, but it is costly.